Hearts remain top of the Ladbrokes Premiership tonight, despite a defeat to Rangers at Ibrox this afternoon. 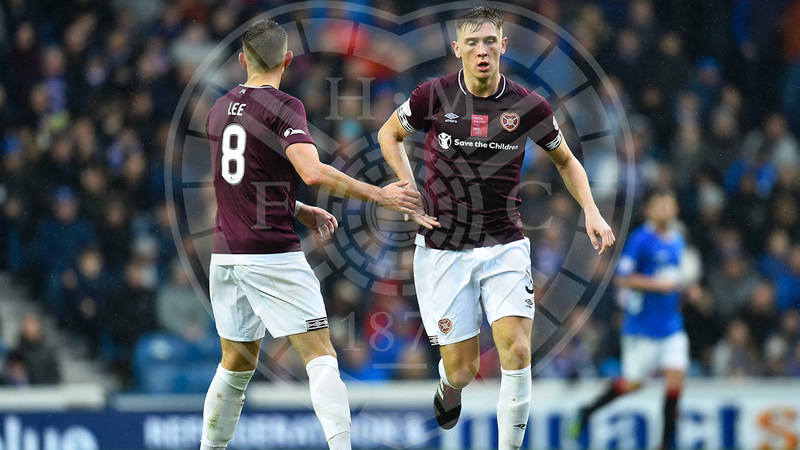 The ten-man Jambos’ unbeaten start to the season, which stretched from July, was ended as the home side ran out 3-1winners. Craig Levein made one change from the side that defeated St Johnstone last week, with Uche Ikpeazu making a return to the starting line-up. The home side got off to the perfect start in just two minutes, when Alfredo Morelos beat the offside trap after a set-piece and, despite protests from the Hearts defence, was able to roll the ball to Ryan Kent to tap in. 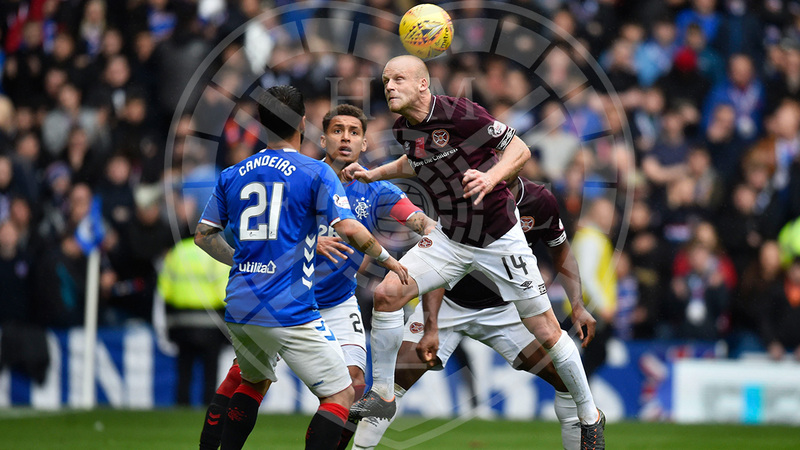 Hearts countered moments later, when a nice piece of play between Steven Naismith and Olly Lee saw Naismith through on goal, but his shot was well saved by Allan McGregor. McGregor was called into action shortly after, when a brilliant surging run from Ikpeazu down the right saw him cut onto his left foot, and his goalbound rocket was palmed over by the Scotland stopper. The hosts were now content to hit Hearts on the break, and nearly doubled their lead when the ball was moved from right to left by Scott Arfield, finding Jon Flanagan whose shot was stopped by Bobby Zlamal. However, the second goal did arrive after 12 minutes. Demi Mitchell was beaten to the ball by Daniel Candeias, and the Rangers winger crossed for Alfredo Morelos who flicked a lovely backheel finish into the roof of the net beyond Zlamal. Hearts were now chasing the game, and were always going to be liable to counter attacks. They were punished once more when James Tavernier’s deep cross was headed goal wards by Morelos. Zlamal did well to save but the rebound fell to Scott Arfield to slam home. Into the second half and, although the tempo had dropped somewhat, Rangers were still pressing for more goals. Kent was looking lively down the left side and, when Michael Smith body-checked him at the edge of the box, the full back received a second yellow having been cautioned earlier in the game. Tavernier then brought out a smart stop from Zlamal on the hour mark, before the Jambos got the goal their attacking play had deserved in the game. Lee swung a free-kick in which was met by Jimmy Dunne, who nodded home for his second goal in two games. Arnaud Djoum then brought McGregor into action once more when Hearts’ high press brought out a mistake in the home defence. Djoum had time, but the keeper proved equal to his strong effort on goal. 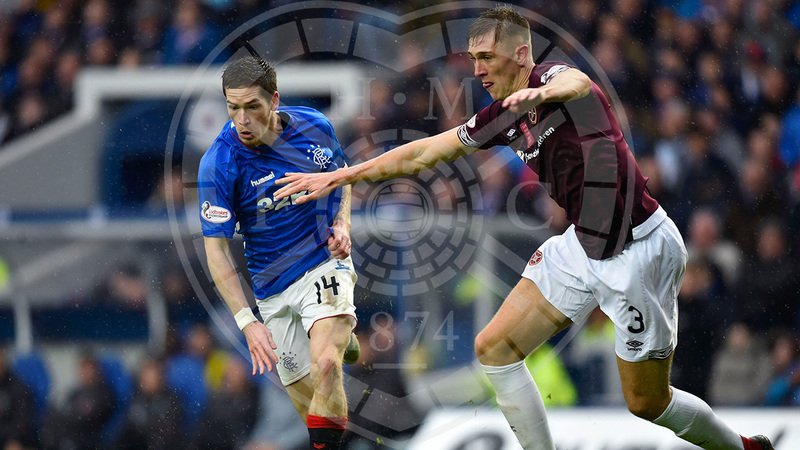 Hearts continued to press Rangers into mistakes but, despite pushing Rangers further up the field, time ran out to create any more meaningful chances. Referee John Beaton then blew for full time, leaving Hearts two points clear going into the international break. Rangers: McGregor, Tavernier, Worrall, Goldson, Ejaria (Jack, 66'), Kent, Flanagab, Morelos, Candeias (Lafferty, 87'), Coulibaly, Arfield (Halliday, 83'). Subs: Foderingham, McCrorie, Katic, Middleton. Hearts: Zlamal, Smith, Dunne, Souttar, Haring, Lee (Garuccio, 73'), Djoum, Mitchell (Wighton, 97'), Naismith, MacLean (Dikamona, 57'), Ikpeazu. Subs: Doyle, Bozanic, Amankwaa, Morrison.